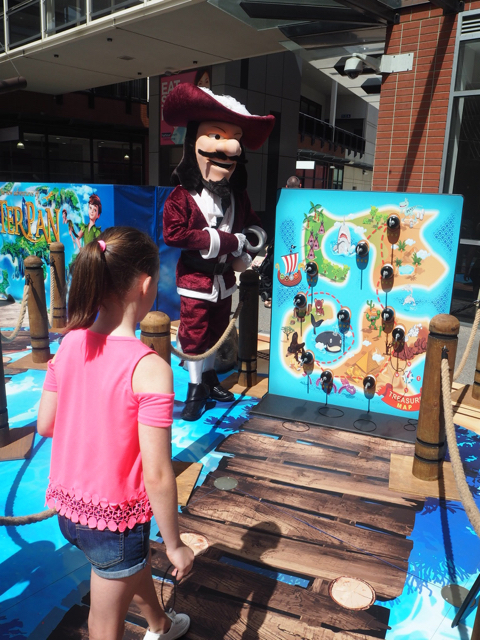 Kate and her niece Ruby attended the launch of Harbour Town Melbourne's latest kids activity zone yesterday - the Summer Pirate Playground where they enjoyed meeting characters from Neverland and making crafts in the Pirate Craft Village. 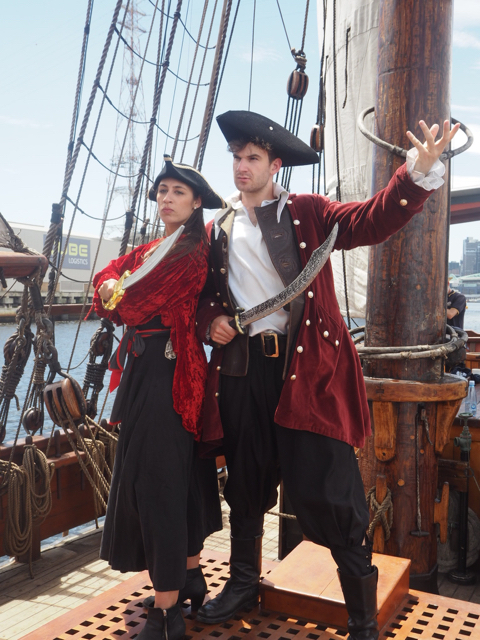 They were also spoilt with a sail around the Yarra river on Melbourne's tall ship The Enterprize. Thank you to Harbour Town Melbourne for inviting us and thank you Kate and Ruby for this great review, pics and for being such great sports on a 38c degree day! 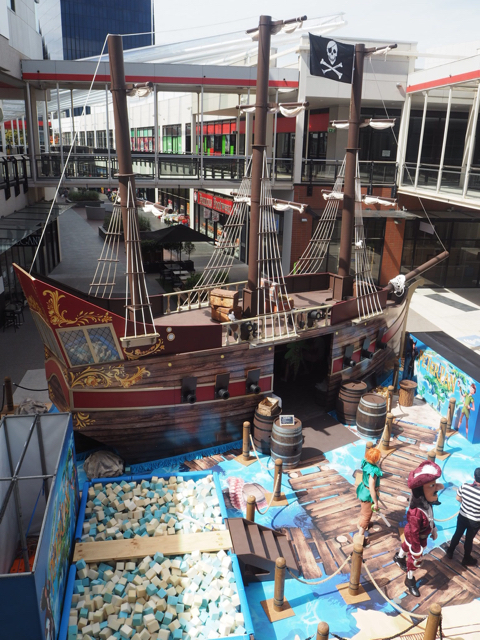 Ahoy me hearties, your little ones will love the new Summer Pirate Playground now open at Harbour Town Melbourne. Open all school holidays and weekends throughout February, Harbour Town Melbourne invites you to climb aboard a replica of John Pascoe Fawkner’s Schooner Enterprize (the ship that brought the first white settlers to Melbourne in 1835), go on a Neverland Adventure Experience with Peter Pan and his friends and join in the fun workshops in the Pirate Craft Village. Best of all, it's all FREE! Miss Ruby (9) had a great morning on Treasure Island; competing with Peter Pan in a sword fight on the gang-plank (which she won and sent Peter over the edge into the pool of foam bricks below! ), playing a game of ring toss and posing for photos with Peter Pan, Tinker Bell and Captain Hook. Located inside the Neverland tall-ship, children can participate in free craft activities in the Pirate Craft Village including treasure chest money box decorating and make your own pirate hook, pirate telescope and parrot. Ruby decorated her very own pirate hat and Tinker Bell wings with colourful feathers, felt scull and crossbones and LOTS of sequins! Entry into the playground and participation in the craft activities is FREE, woo hoo! The playground is not undercover so come prepared for all weather conditions. The craft village is inside the tall-ship and is air-conditioned. The playground is open daily from 11am to 2pm. Activities vary each week so check the website if you wish to participate in something in particular. Pram parking is available next to the playground. 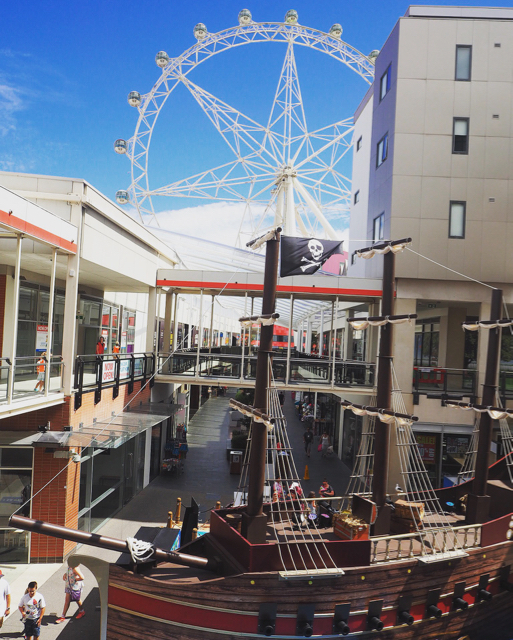 Harbour Town Melbourne is very family friendly with designated baby-change and feeding areas located adjacent to the exhibition (near the Pearl River Road/Studio Lane entry). 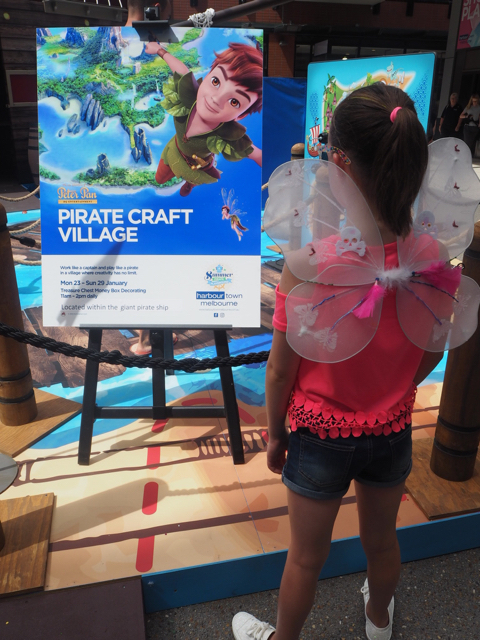 For more information and full schedule of the Summer Pirate Playground, head to the Harbour Town Melbourne's website. 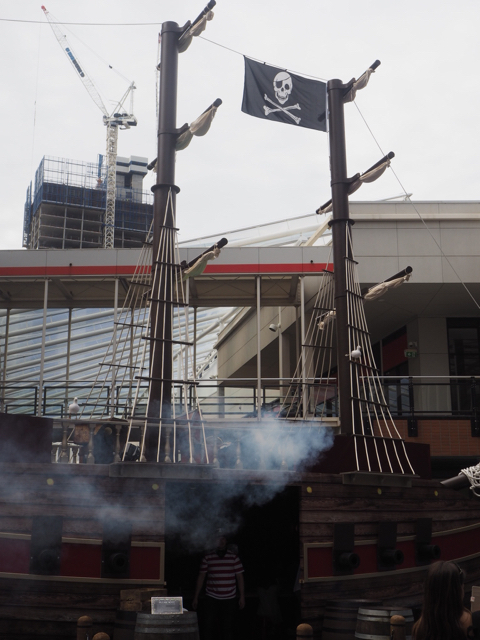 To celebrate the launch of the Summer Pirate Playground we were treated to a one hour sailing session on The Enterprize. 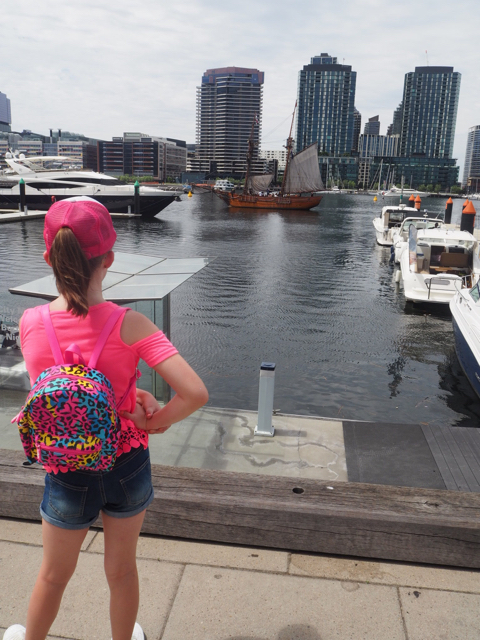 Complete with two real-life pirates we sailed up the Yarra River from Melbourne Marina, passing under the Bolte Bridge (I didn't think we were going to make it) and enjoyed stunning views of not only Docklands but the Melbourne skyline too. We met several of the wonderful volunteers and staff who provided an 1830's sailing experience for all with an adventurous spirit and an interest in Melbourne's - and Victoria's - maritime past. 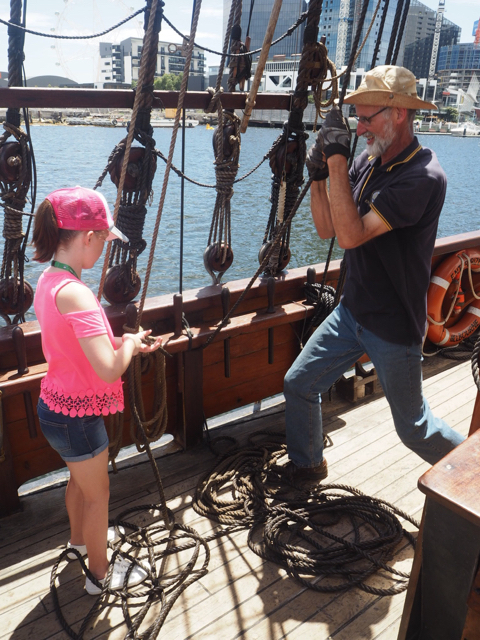 Ruby helped the crew hoist and set the sails and even had a turn ringing the ship’s bell. The Enterprize has public sails from Docklands, Williamstown, Mornington and Geelong, with sails from Portarlington during peak season and special events. The most popular Enterprize cruises are one hour sails and twilight sails of 1.5 hours. These are suitable for people of all ages. 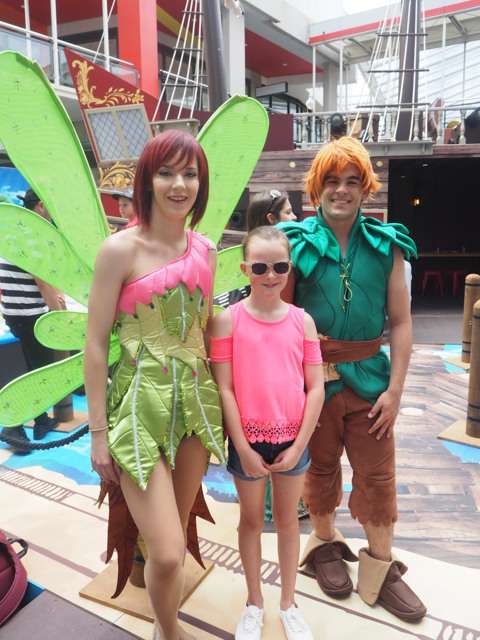 We highly recommend taking your family for an adventure and let the kids explore the ship. For more information about Melbourne's Tall Ship The Enterprize, head to their website. For more summer school holidays events and activities, head to our dedicated page. For our top 5 city activities with the family, head to our dedicated page. For our daily spots list, head to our dedicated page. For our list of parents rooms including rooms in the city, head to our dedicated page.